Guts.com is one of the leading multi-provider casino sites on the Web, and if you’re lucky enough to reside in one of the countries that Guts supports, we highly recommend this online casino for access to a large selection of games from several of the leading software developers. While Guts is vibrant, user-friendly and puts the focus on fun, the team at BettingPlanet.com goes deeper to have a closer look. Guts Casino offers a hassle-free instant-play platform, which means all games are accessible directly over your Web browser (Safari, Chrome, Firefox, etc) without the need to download any additional software. Guts is completely free to use, with games available to be played for free in practice mode, or for real money bets if you want the chance to reap real cash rewards. The site is very user-friendly, using a clean, no-fuss layout to make it easy for newbies and seasoned punters alike to sample the large collection of casino games on offer. Does Guts have a mobile casino? Like it’s desktop counterpart, Guts.com offers a browser-based mobile platform where games can be sampled with no downloads needed. Mobile games are powered using Flash and HTML5 software, so they are compatible with all data-enabled smartphones and tablets including iOS, Android and Windows Phone devices. Does Guts.com have an online sportsbook? Another great thing about signing up with Guts.com’s online casino is you have instant access to their online sportsbook with the same account. If you love betting on sports and racing, you will find a great range of markets, including American football, Baseball, Basketball, Boxing, Cricket, Cycling, Golf, Ice hockey, Motorsports, Novelties, Soccer, Tennis, Volleyball and more. 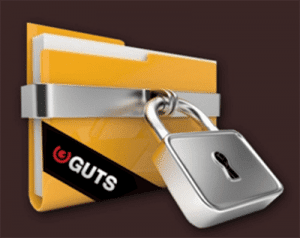 Read our official Guts.com online sportsbook review for further information on how to redeem special bonuses. Every bonus at Guts is subject to terms and conditions, all of which can be viewed here. Beyond the welcome bonus, regular players at Guts are well looked after with plenty of one-off bonus offers and promotions happening regularly. Guts is known for getting into the festive spirit of any holiday, offering promos around Christmas, Easter, Valentine’s Day and just about any other excuse for a celebration. 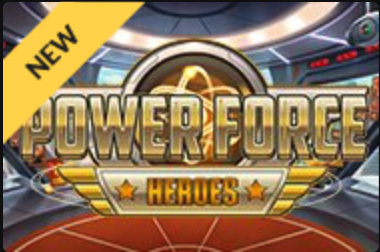 You can get extra spins on new games, join leaderboard tournaments to win a share of a cash pool, get your name in the running for real world prizes, enter trivia contests and all kinds of other exciting promos. Just check the ‘Promotions’ page at Guts.com any time to see what’s cracking, or sign up to receive promo offers via email when you register for an account. New game titles are added regularly at Guts, and the mobile site offers a selection of the most popular titles, with slots being the main focus. All games can be sampled for free in practice mode, except for the live dealer games by Evolution Gaming, which require real money bets in order to play. If you’re looking for a safe and reputable casino site, Guts certainly won’t lead you astray. Guts.com has licensing from the Malta Gaming Authority (MGA), one of the industries finest when it comes to online gambling jurisdictions, ensuring all operations and financial transactions at Guts operate in line with strict industry standards. The site is fully protected by 128-Bit SSL digital encryption security to protect players personal and financial information, which is the same level of online security used by major banking corporations. Australia, United States of America (and its dependencies, military bases and territories including but not limited to American Samoa, Cyprus, Guam, Marshall Islands, Northern Mariana Islands, Puerto Rico, and Virgin Islands), Afghanistan, Algeria, Belgium, Bouvet Island, British Indian Ocean Territory, Bulgaria, Comoros, Czech Republic, Denmark, Ecuador, Estonia, Ethiopia, France, Greenland, Guam, Holy See (Vatican City State), Hong Kong, Hungary, India, Indonesia, Iran, Iraq, Ireland, Israel, Italy, Jordan, Democratic People’s Republic of Korea, Kuwait, Libya, Malaysia, Montenegro, Myanmar, New Caledonia, Nigeria, Pakistan, State of Palestine, Philippines, Portugal, Romania, Singapore, Somalia, South Africa, South Georgia and the South Sandwich Islands, South Sudan, Spain, Sudan, Syria, The Faroe Islands, Turkey, Western Sahara, Yemen. All deposits are processed instantly, except bank transfers which can take from one to five business days depending on your bank. 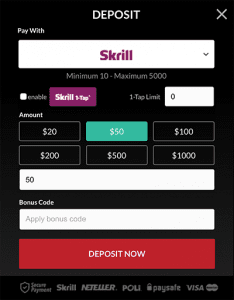 Most deposit options are also available for withdrawals, excluding pre-paid cards. Accepted currencies include CAD, EUR, NOK, GBP, SEK, USD, DKK and NZD. Guts offers customer support via email and live chat, but the live chat is not open 24/7 and in our experience, we have found it to be frequently closed. Thankfully, the FAQ section at Guts is pretty detailed, so if you can’t find someone to speak to right away you may be able to find your answer to common queries regarding depositing, bonuses, security and account verification within the FAQs. Guts also has a Twitter account if you want to stay in the loop of all the latest offers, game releases and site developments.